The product plan on is given as the requirement of the course entitled Introduction to Marketing. We have named the new product as Crispy Carrot Chips. It is an imaginary product under an imaginary company named Tulip Foods Limited. However, the plan is realistic, which has a good possibility to be succeeded. Usually there are many chips in the market and the market of chips is competitive. However, we can compete in this tough competitive market because our Crispy carrot chips are not only providing a very crispy and testy chips but also a very nutritious that will help children as well as younger person to be healthy. This plan analysis the current situation, followed by different opportunities and threats, then Marketing and financial objectives, after that marketing strategy, subsequently action programs, afterwards it also discusses the budget, and finally the conclusion. The cost of the product (each) would be varying on packets, and the price would be 8 to 15 taka. Targeted markets are separated into two segments such as children, youngest. Crispy Carrot Chips is providing chips with very testy and healthy including carrot nutrition. There are many companies in chips market? Our various products in this market are Meridian chips, Potato chips, Lays etc. In the chips market we have 23 percent share. Now we want to expand our market share through satisfying our customer by their desired another product Carrot Chips. Therefore we are going to launch a carrot chips named CRISPY CARROT CHIPS. Our main vision is to making satisfy the customer and run profitably. Based on our R&D department we have identified that our new product is in good demand. Most health conscious people are liking to consume this product as this is ease to consume and time and cost effective. We have targeted the entire chips market based on the geographic segmentation, demographic, psychographic, and behavioral factors. At the beginning our entire market will introduce our product in six Metropolitan cities. Our target customer age range will be 4 years to 30 years. Social Class (Middle class, upper class, and middle upper class). Our Research and development department found that people preferring the new taste because they has need of nutrition because it is good for health, and as they can consume the product easily majority of people would like to have this product. And in south Asia region and Bangladeshi are mostly affected by various types of diseases so in that case we provide our product as a solution of nutrition. Therefore customers can easily consume based on their desired need. Innovation: A new formulation of carrot chip is introduced that is crisper and kept fresher longer. The shelf life of 6-12 months comes in very handy as these do not perish quickly. It combines a variety of features that would otherwise require customers to carry multiple options: these include only salted crispy carrot chips, vinegar & salted chips, chips with masala. Pricing: Our product is priced lower than other competitive firm. For the price conscious customer we offer high nutrias food at a cheapest price. Resource: Our main resources such as carrot, salt, vinegar are sufficient in our country. That’s why we have a plus point about raw materials. Also the human resource is also a benefit able option to us. Only when we want to make carrot chips with masala than we have to import masala. Attractive packaging: The packaging is very attractive and draws attention of buyer when lying on the shelf at the retail counters. Everyone likes to keep a few packets of carrot chips at home as these can be offered to friends, invitees and sudden visitors. It can add to the variety and enjoyment of any menu for a function or party. Locals love crispy carrot chips for its delicious taste. Packed according to the desire customer: We want to maintain the highest standard of service to our customer through offering introduce innovative products and packaging needed to satisfy ever-changing appetites and tastes. Untouched by hand: Crispy carrot chips are produced in a modern plant with high level of automation and untouched by hands. These are 100% vegetarian so people of health conscious easily take this. Lack of brand awareness: As a new comer of market place our company has not established brand or image and don’t have the opportunity to positioning in mind. We will overcome this problem by effective promotional activity. Lack of distribution channels: As we are the new comer of this market we don’t have maintain the highest standard of service to our retail customers through our dedicated sales force. As a result we don’t get the opportunity in positioning customer mind. We don’t expand our product because of our limitation about distribution channels. We want to take initiatives and successful efforts to sign out from this problem. We can take advantages of two major market opportunities that are external elements and may be able to exploit to its advantages. Lower production cost: As the ingredients of technology are developing day by day so we produce our products at fully automation process as a result we produce maximum product with a minimal production cost. Not only that we get the raw materials huge in our country sufficiently, so we don’t have to imports anything and lastly the labor resource is so cheap in our country. For the combination of these efforts we are able to deliver our valuable customer maximum satisfaction with a minimal cost. Increasing demand for vegetarian products: Now a day people are so busy in their life that they only seek the product that can be the solution of there needs and demands, so they turn to healthy and nutrias product. As a result the demand for vegetarian products increased day by day. There are two main current external elements that challenge the company’s performance. Increased competition: More companies are concentrating on ‘easy to prepare food items’ of highly competitive price, which can serve busy people and make their life easier. Customer only focuses on products which have many features. Therefore we have to differentiate market segments and add value pricing. Downward pricing pressure: Increased competition and market share strategies are pushing price down. And for competing with the market we have to maintain a competitive price as a result we must deliver the customer cheapest value product. It influences the downward trends of price. Our main mission is creating brand image, brand loyalty in the mind of the consumers through better addressing their need and making them satisfied. We would like to spread out the product within the country. Running these product there are a lot of possibility in marketing and financial gain. It will help the company to increase total sales volume. So our main objective is to satisfy our customer and do maximization of profit. At the same time it will enable the company to capture greater market share. The product will have three types of packets. The sizes of the packets are small, medium and large. To reach the breakeven point within 15 months. Kids are vast population of our country and they prefer different test in chips. Kids choose the product without knowing the product quality or other attributes. They will purchase the “Crispy Carrot Chips” because of test and packaging. Youngest are health conscious and therefore they preferred the product that will keep them fit. They are very much conscious about product quality and price and our product is quality maintained and affordable. We are trying to position our product through image differentiation, cause related marketing, and product differentiation. We will use logo and short advertisement so that people can consistently see the advertisement so the product will occupy a clear, distinctive, and desirable place in the mind of the consumer relative to competitors’ product. Increase awareness and Image: Informing the consumers about our new product “Crispy Carrot Chips”. Through, advertisement, leaflets, events we can increase awareness of the product and establish image of our product. Cross Selling: We can use our existing distributors to distribute our new product. We will also be able to cross sell our new product with our existing products. This will help us promoting our new product to the market. 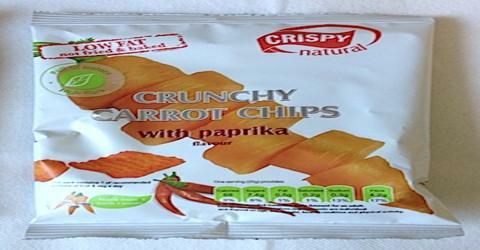 The Company established the price of its new product “Crispy Carrot Chips” with the concept from cost plus pricing. According to our calculation the cost of our product is Taka 8, Tk. 12 taka, and we set Tk. 15 for our product. We will primarily use our existing distributors for distributing our new product “Crispy Carrot Chips”. Then, we will make some new channels and assign some distributors to promote our new product to all over the country. We will also use vending machine in the shopping malls, schools, offices and crowded areas. We will make our consumer by Value Delivery Network. The most successful advertising will be through NTV, Channel I, ATN Bangla , RTV, and CSB News which are the most popular television channels in the country. We will also use some bill-boards and leaflets and we will hold a sport event for the kids’ generation to promote the product. We will also use our experience so that we can create attention to the customers. Kids and old generation like the sports people so we can introduce that if the purchaser purchase one of our product they will get a tin number and by sending the tin number through a sms they can meet with the sports celebrities. Our product will enable our customers to have a different experience to test in chips. They will be able to differentiate our product in quality and test which are unique in the chips market. They will not be able to feel the same way for the other chips in the market. Quality and test leadership: We are the first producer of this different test. We will ensure the TQM (Total Quality Management) and by value delivery network so that we can be the leadership position in chips market. Mass distribution: We will also going for mass distribution of our product as the product is low involvement and people show habitual buying behavior. We want to distribute our product each and every corner of the country. Consumers will get the chips where ever he of she visits. Budgeting is basically a systematic method for allocating the resource of our organization in ways that will most effectively help the organization to meet its goals. By concentrating on goals and programs in light of available resource, it stresses the desirability of assessing cost against benefits when selecting the best course toward accomplishing a program goal. The new brands of “Crispy Carrot Chips” will be introduced in July. We make an action program for the next six months. And we believe that, if our six month action programs will run well, then we will achieve our goals easily. And we will continue our business according our cycle. At the beginning of the month will arrange a meeting for the suppliers, dealers and some specific customers. For advertising campaign we will go to different schools, Shopping malls, and parks to provide them free chips pack and we will provide them a leaflet through which they can write their opinion and they will get a coupon so that on their first time purchase they will get Tk. 2 discount and they will leave the leaflet to the retailer and we will collect it. Getting experience from the meet will apply some initiatives and at this month we will advertise of our new product in the Television, Radio, Bill Board, Banners, and in the Poster. Then we will launch our product in to the market. In the primary stage we will produce small, and medium. After doing our successful operations of three month, at the forth month we give extra benefits to the dealers and sellers to improve our sales. We will give small toys for the kinds, and to add experience we the product will have a tin number by doing sms (short text message) the consumer can meet the sport celebrity. This experience will attract our potential customers. Observing the situations, at this stage we will produce large packet for the couple. And this month our product will be available in almost every shop within the country. Observing and analyzing we take necessary actions to develop product sales and increase our profit. We can easily understand the marketing position of our product. If we learn that our condition is suitable then we will make divisional dealers to distribute to the whole country. Side by side we take control over it in necessary. In this way we will continue our production and give a particular image to the mind of every customer. In conclusion we can see that, the product the company is going to launch has a bright future in its market. As the product is innovative, the consumers are going to appreciate it. And according to the R&D (Research and Development) department this product will be a strong product mix for our company. And once our “Crispy Carrot Chips” will reach to the hand of our targeted customers we will be able to capture the market.